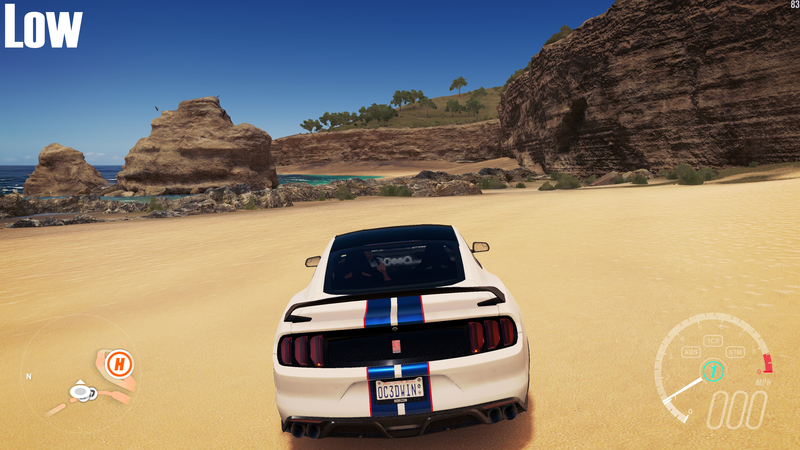 At all settings the world's main textures for the roads and environment remain the same, though a lot of detail from cars and distant objects are reduced at lower settings. 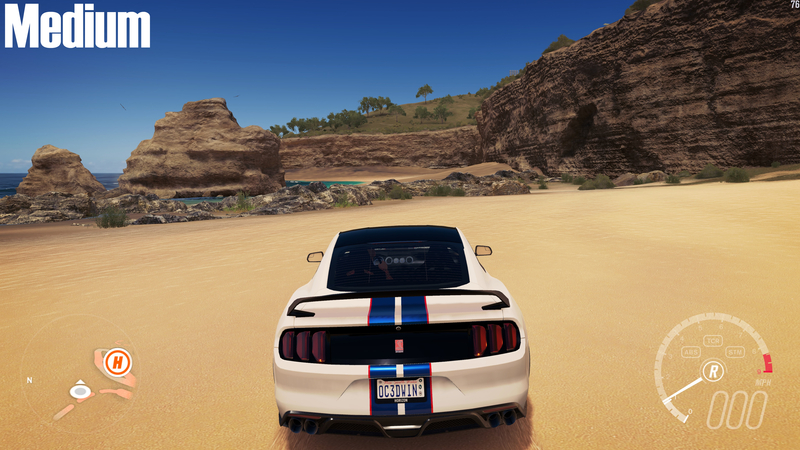 At High and Ultra, we can see that distant terrain and grass are much more detailed, with the moves between low and medium and high and Ultra giving players increased detail for both the interior of vehicles in 3rd person view and increased detail in vehicle headlights and reflections. 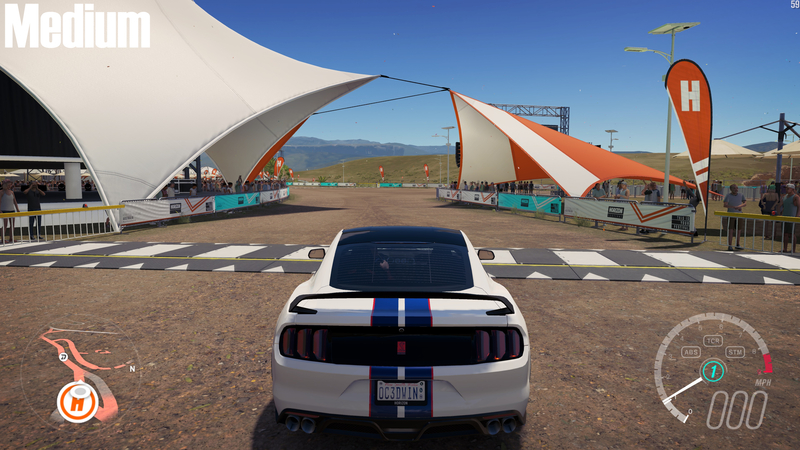 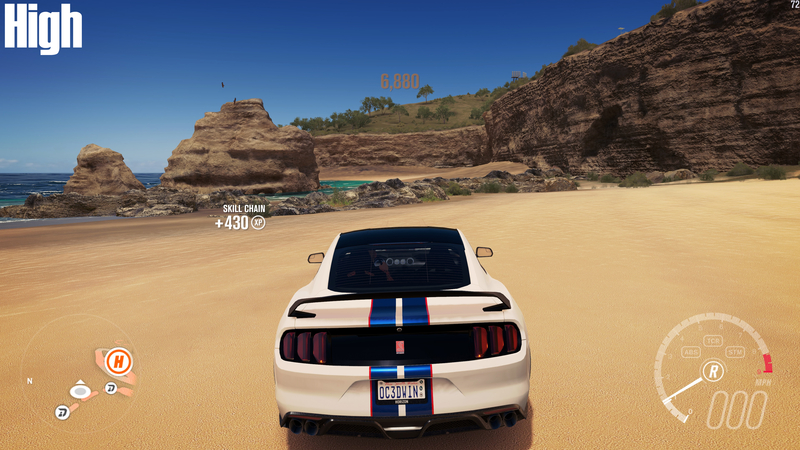 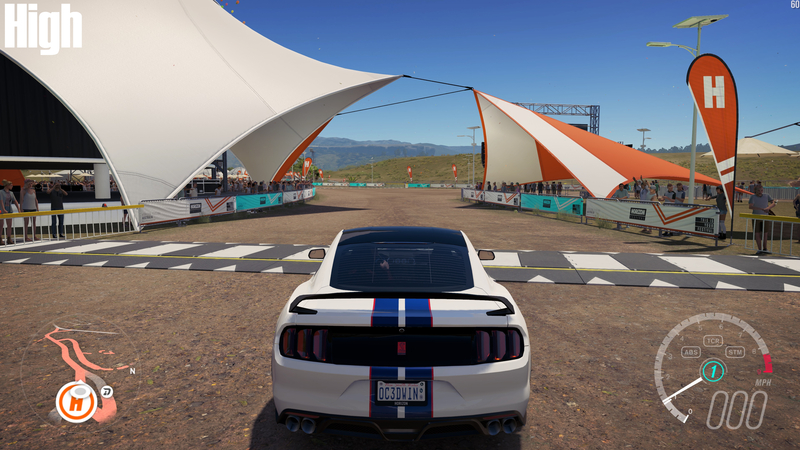 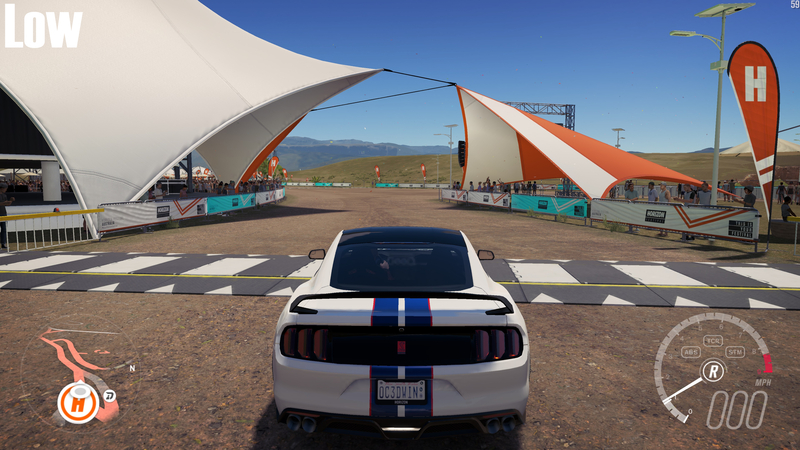 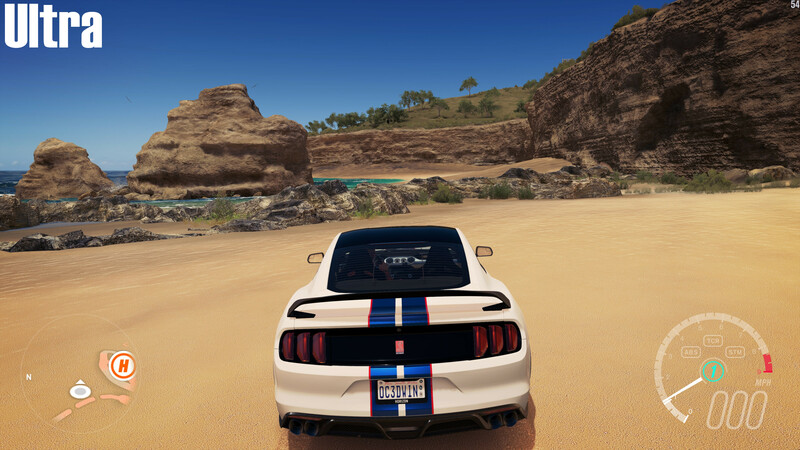 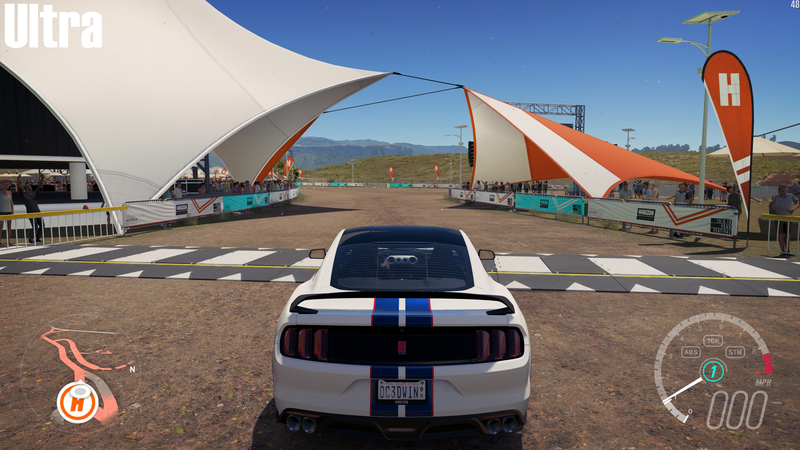 In all Forza Horizon 3's world detail remains largely unchanged when moving through the settings, with the main visual differences at the lowest settings coming in the form of less detailed car internals, windscreens and reduced details in foliage at a distance.